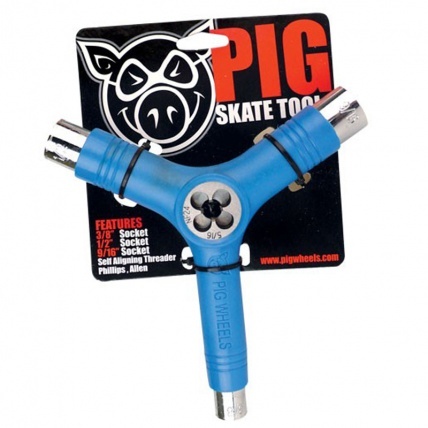 This Y Tool from Pig Skateboards is a must have to save any skaters day. Compatible with Phillips Screw, Allen Key, Kingpin (1/2in) Axel (3/8in) and Hardware (9/16in). This Y Tool also features a self aligned thread for re threading your axels. It literally has everything you might need to finish your session as you meant to begin. 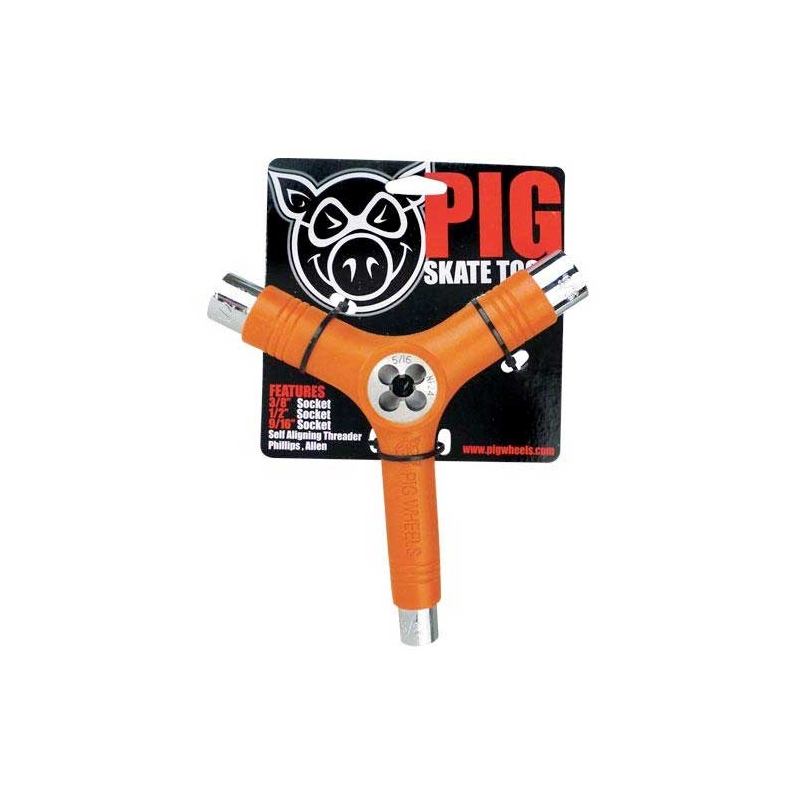 Made from Steel and extra tough ABS plastic.